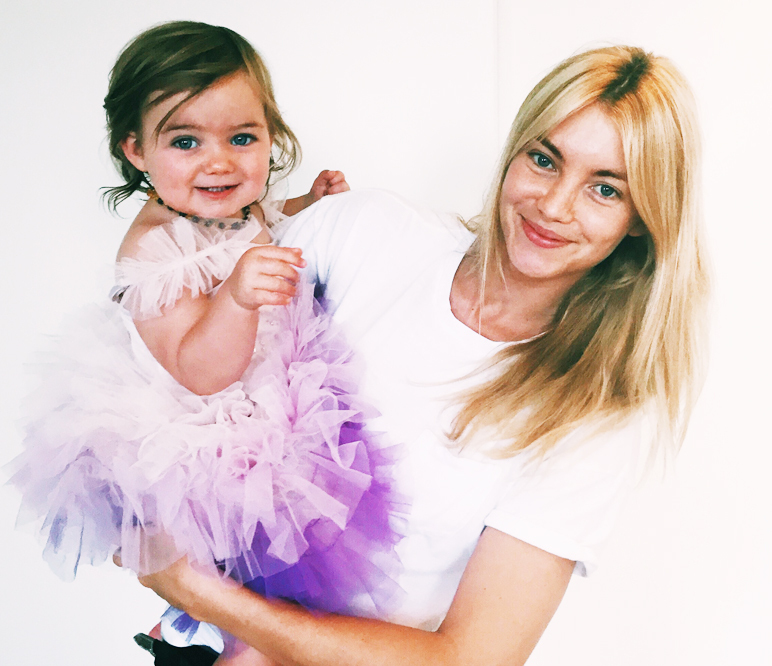 Our good friend and model Elyse Taylor (read more about her in our interview last year) recently collaborated with children’s label Tutu Du Monde to create a very special limited edition tutu for for the charity Bear Cottage. Named the “Lila” tutu after Elyse’s Daughter Lila, the tut was designed when Elyse was recently in Sydney. Elyse took part in the design process with Andrea Rembeck (Tutu Du Monde’s Designer) choosing fabrications, colours and embellishments. The “Lila” tutu has a a sprinkling of silver sequins across the bodice and graduating waterfall skirt of pink and plummy tulle. $100 from the proceeds of each “Lila” Tutu will be donated directly to Bear Cottage. Bear Cottage is a children’s hospice caring for terminally illl children and their families. Its the only children’s hospice in New South Wales and one of only two in Australia . A warm and home-like environment, it provides respite care, end of life care and ongoing bereavement support. Bear Cottage relies heavily on community support to keep its doors open. Get your little one a Tutu and support Elyse and Bear Cottage! Shopping therapy for a good cause!! Julia Restoin Roitfeld talks fitness, hating diets and single motherhood to new Fitness and Lifestyle Blog, The New Jock.